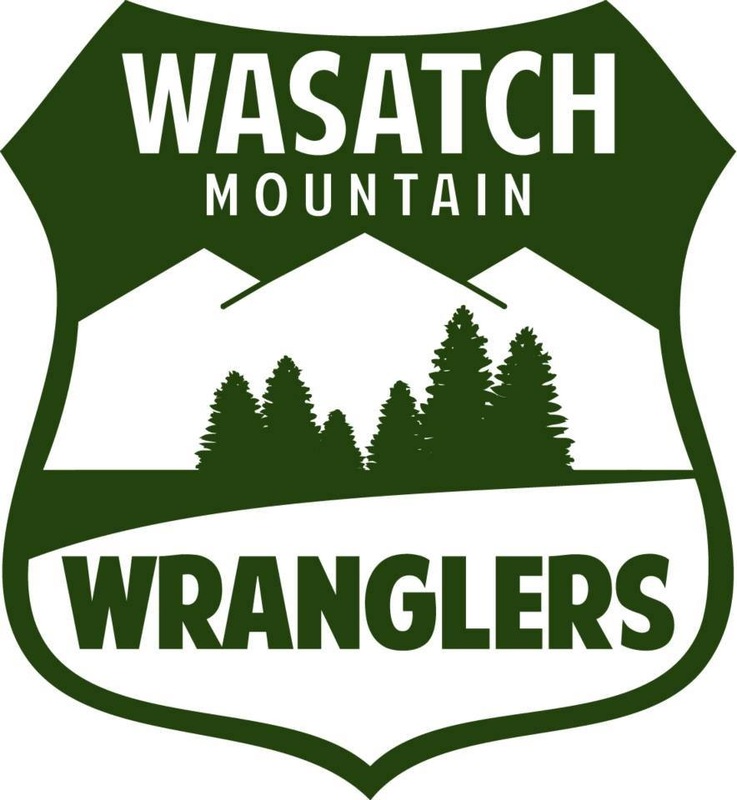 I am a 29 year old male living in Salt Lake City. I have a wife and daughter (with another on the way). I am a Product Manager for a software company. I decided nearly a year ago to dedicate myself to getting and staying in shape. I don’t write many food and beverage reviews on my site, but if I run across something new or unique that might appeal to my audience, I don’t hesitate. I recently got a case of maple water from the folks over at DRINK maple and thought I would give it a try and share my thoughts. Maple water is not necessarily a new thing, but with the recent success of coconut water, the opportunity seems ripe for similar water alternatives. I am primarily a water guy. I will occasionally pick up a sports drink to mix it up, but water is my bread and butter (especially during and after physical activity). While water serves the purpose for me on most days, sometimes I like to mix it up with something with a bit more flavor along with some added nutrients to aide the replenishment process. I am not a huge fan of coconut water, mostly because of the taste, so I decided to take this opportunity to give maple water a try. Let’s get into my thoughts! I was most curious about this. DRINK maple is very clear that their product is straight from the tree. With that being said, I didn’t know if it would have an overly sappy taste or texture. These were my preconceived notions, but honestly, having never tried maple water before I didn’t know what to expect. All in all, I was pleasantly surprised. What I liked most about it was that it had a very clean taste, similar to that of spring water. In addition, it had a slight sugary taste with a hint of maple, but wasn’t overbearing at all. It was just enough to provide me with the different taste that I was looking for without being over the top. Organic and all natural. This will resonate with a good number of people. Many athletes are being extra sensitive these days about what we put into our bodies. With trust and transparency also being an issue with many nutrition companies, people are looking toward more natural sources. If you look at the side of the bottle, the DRINK maple product has one ingredient, Organic Maple Water…you can’t get more natural than that. More than water. Maple water is rich in many nutrients and electrolytes, primarily Potassium and Manganese. We all know the benefits of potassium as an electrolyte to promote proper muscle performance (the reason so many of us eat bananas by the case). Manganese is one that most people may not be as familiar with, but it contributes to healthy bone and connective tissue development. It is hard to argue that both of these are super beneficial to runners and athletes. DRINK maple as a company is in it more much more than money. If you look at the side of their bottle, each bottle sold supplies 200 gallons of clean water to people in developing nations. This is a product that you can make you feel good not just physically, but socially too. Half the sugar of its main competing product, coconut water (more if you consider that many coconut water brands have started adding flavoring too), and tastes better too in my humble opinion. It can be pricy at a cost of about $3 for a 12 oz. bottle, so that means this isn’t going to be for everyone. With that being said, I think it all comes down to a matter of personal priorities. The production process of extracting directly from a tree is both seasonal and costly, but if your priorities are to get your nutrients and hydration through natural sources and from a company that is socially responsible, then the cost is much more justifiable. For those that are buying this as a way of being natural may be bothered that it comes in a plastic bottle (although recyclable). Luckily, they have an 8 oz. size that comes in a paper carton, which is my preference. Hopefully, they will package in a larger carton size in the future. Like I mentioned earlier, maple water may not be for everyone. I would say that there are a number of people that may want to give it a try. If you drink coconut water because you aren’t aware of alternatives, but can’t stand the taste, then you should try this. If you are more like me and drink mostly water, but want an alternative option that is full of nutrients and electrolytes without added sugar and chemicals, you should also give it a try. You also don’t have to drink it all day every day, so if you are a bit cash strapped, I think you can still gain benefits from having one or two a week. In any case, I have become mildly addicted to it and think it is worth a try! 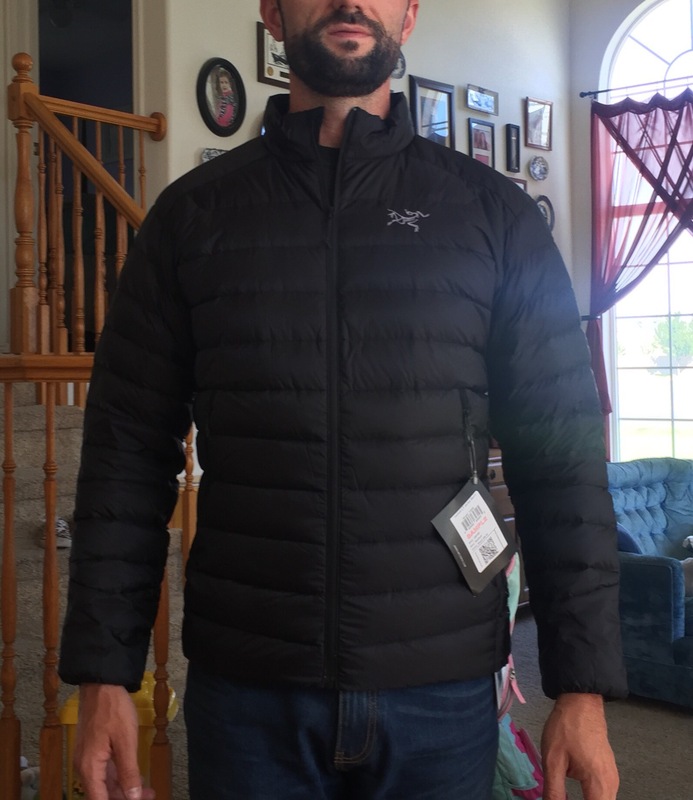 Topo Athletic has been seeing a lot of momentum in the market recently as they continue to expand their product line and reach a wider user base. I see more and more of them out on the trail, which tells me that their formula is working. Their most recent expansion of their Trail line is the Terraventure. For those of you that have been looking for a shoe that caters to more rugged terrain, this one is meant for you. Let’s take a look. Of course, these things don’t come for free with the trade-off being more weight in the shoe. However, if you are looking for something that you can beat up and don’t mind a little more weight, this might be the shoe for you. As I am largely comparing the Terraventure to the MT-2, I wanted to include the side-by-side specs for ease of comparison. Also, here is a link to my review of the MT-2 if you want to look at that one. As you can see, they are comparable in most areas. The difference in the stack height is largely attributed to the deeper lugs and the addition of the rock plate in the shoe. The price is only slightly higher, most likely reflecting the increase in materials used. Sticking with the comparison with the MT-2, I have included some side by side images below (the terraventure is on the left/bottom in these photos). On the upper, the design is only slightly different aesthetically, but largely the same. What you can’t tell from the image, but is the main difference between the two in terms of the upper is that the Terraventure uses a slightly thicker, more durable material. This is largely meant to reduce tearing. The shoe uses a standard lacing system along with a nicely padded heel and tongue. On the outsole, the lug pattern did change ever so slightly, particularly in the midfoot. Additionally, the lugs are about 1mm deeper for increased traction and grip. The inside of the shoe fit almost identical to that of the MT-2. That is to say, plently of room in the toe box for your toes to splay with a snug fit through the midfoot and heel to keep the shoe firmly in place. This is Topos bread and butter design approach and it is resonating with a lot of people. The fit was pretty much identical to that of the MT-2. In other words, my toes had ample room in the wide toe box while the shoe stayed snug with the secure fit through the mid-foot and heel. Topo continues to stick with what works in my opinion. They didn’t invent the wide toe box and foot shape design, but I think they perfected it. While I have found other models to be clumsy in the midfoot and heel (causing slipping and blisters), the Topo design approach simply does not slip and slide around. The deeper lugs, although only about 1mm of depth was added, made a world of difference, particularly in slightly packed snow. While running, it allows the shoe to get a deeper grip in the snow, which reduced slipping by quite a bit. In mud, I felt that they did a great job at shedding and preventing build up underfoot. I noticed the rock plate, particularly on scree, where pointy rocks definitely felt a bit more dull. 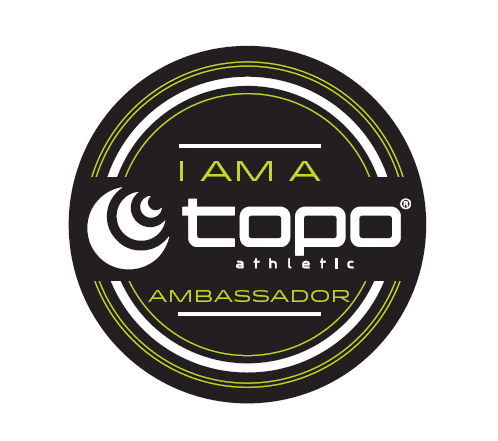 No blisters or hot spots, which has never been a problem with Topo. While heavier in comparison to the MT-2 that I usually run in, they didn’t seem cumbersome. The shoe was responsive and had a good transition throughout the foot. Overall, I maxed the distance in these out at about 12 miles for a single run. It is a bit shorter than I usually like to go, but such is life in my offseason training plan. Still, I didn’t see anything in those runs that would indicate possible problems over longer distances. As with most trail runners, I have a number of different shoes that I use depending on where I am running and what the conditions are. In terms of the Terraventure, I see these becoming an integral part of my every day training, when I often like to wear a heavier shoe. I also see myself being able to log more miles in a pair of Terraventure versus the MT-2 thanks to the durability. I would then save the lighter MT-2 for race days or speed trail workouts. For everyone else, I always recommend that you at least try Topo out if you haven’t before; all of their models promote proper foot and running form through their foot shaped design and low heel-toe drop. 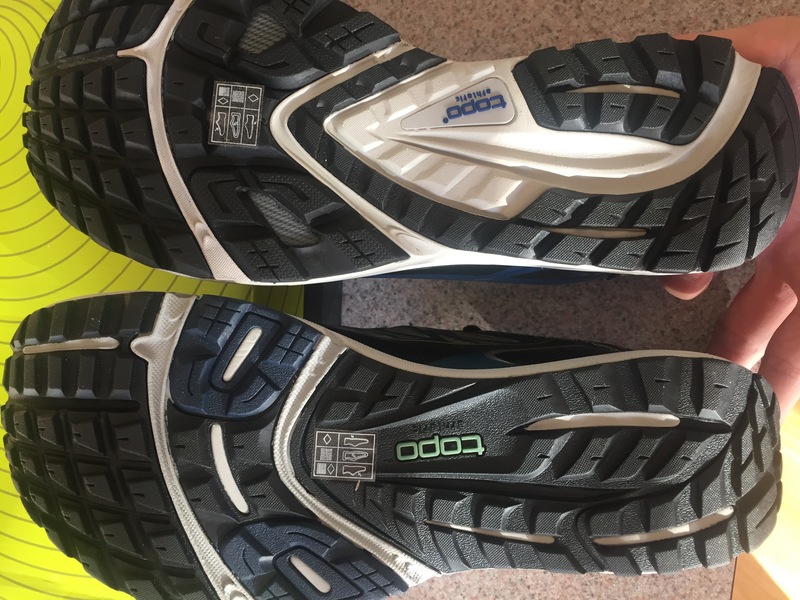 If you primarily run in rugged terrain and/or are looking for a solid everyday trainer, I would start with the Terraventure. The increased durability really lived up to the test. Have yet to see so much as a snag in my Terraventure. The added 1mm in lug depth doesn’t seem like much, but I definitely felt a difference when running in mud/packed snow. In fact, this was probably one of the most notable improvements in my wear test. The rock plate is a nice addition. The few times running on scree, I definitely felt more comfortable under foot. It is a bit heavy in comparison, coming in a full 2 oz. heavier than the MT-2. 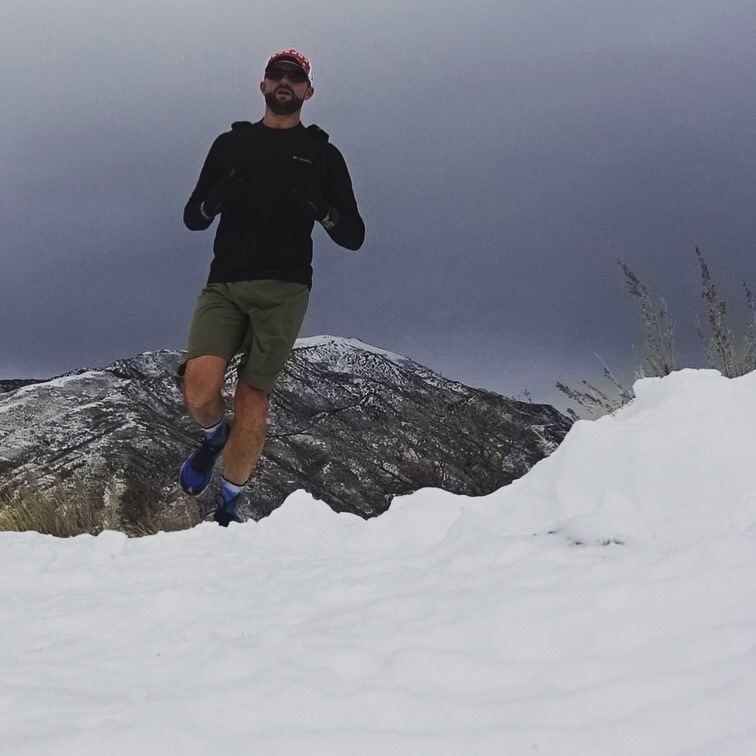 As a user, if you are deciding between Topo shoes, you really need to understand how you want to use the shoe and what the most important factors are, weight or durability. 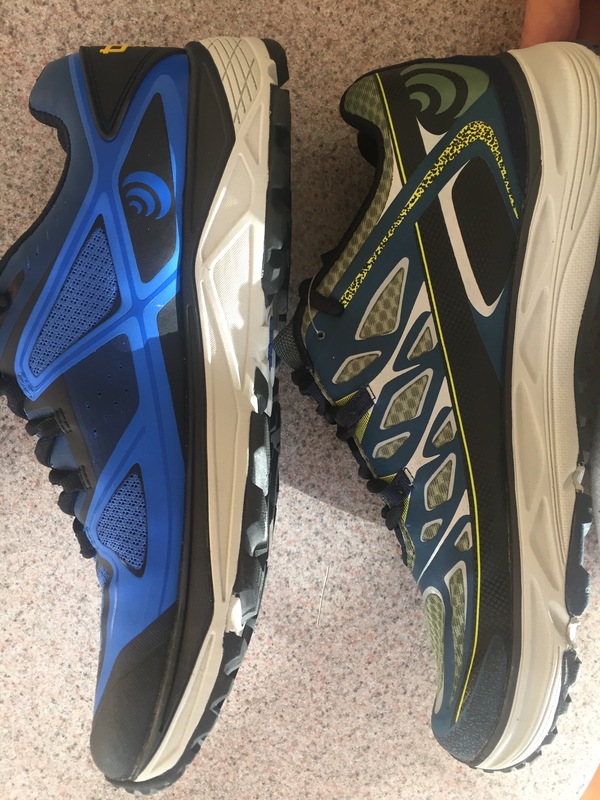 At the same time, it is actually lighter than many other shoes in the space that tout higher durability, such as the Brooks Cascadia or Saucony Xodus. 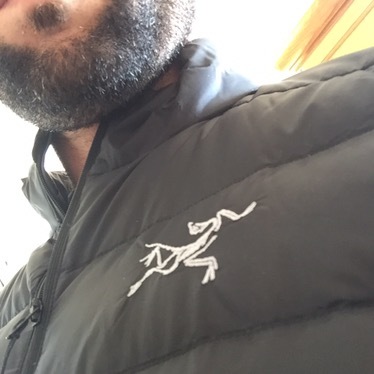 Breathability, while still more than adequate, is not as good as the MT-2 (as you would expect with a thicker upper). This, again, is more of a tradeoff versus a deficiency. I never had an issue with my feet sweating in the Terraventure, but the more durable upper definitely takes away a bit of the airy feel that I get with the MT-2.